At Lethbridge Volkswagen we understand your life is busy and that you are increasingly relying on digital means to research, shop, and purchase the products that you want. Sometimes you’d rather compile your own information rather than get it directly from traditional sources. Why should car buying be any different? 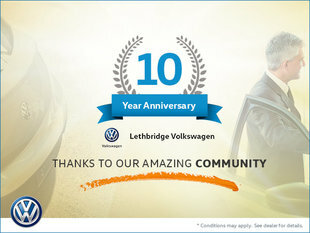 Lethbridge Volkswagen is making the car buying process simple as possible by meeting you online. Introducing the Digital VW Experience. Essentially, you will be able to research the models you’re interested in on our website, contact our team, and have the ability to book Extended Test Drives in the vehicle they want. Vehicles will be hand delivered to a customer’s place of business, home, or wherever else, and can be driven for an extended period of time. Upon finishing the extended test drive, the vehicle will be picked up by staff wherever you’d like. It’s as simple as that. No touch point if you prefer it that way and all you have to do is enjoy the driving experience. Then its back to the internet (drawing board).